There are 3 kinds of cooking course for dinner. Along with the cuisine that feels seasoned in local Shinshu, please eat delicious buckwheat soba with our passion. 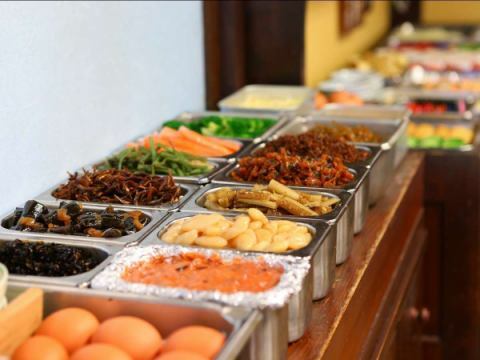 Also, we prepare a variety of hand-made buffet menu for breakfast. 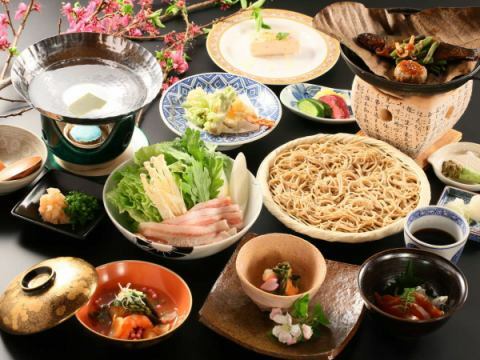 We will offer you the most popular Shinshu Speciality Kaiseki Meal course of the hotel at the official website limited price. 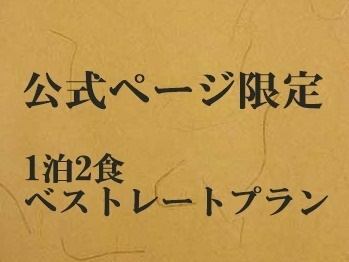 Reservations from the official website are best deals! The accommodation plan content does not change! 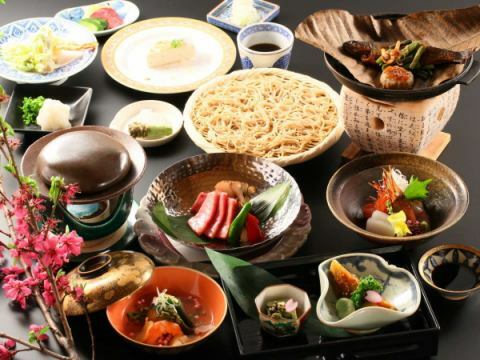 It is a luxurious Kaiseki cuisine plan which upgraded basic meeting cuisine. Shinshu Beef and rock fish, basic hands-down cuisine that tastes hand-made soba stuck to 100% ground powder. Azumino Houboku Pork shabu shabu shabu! 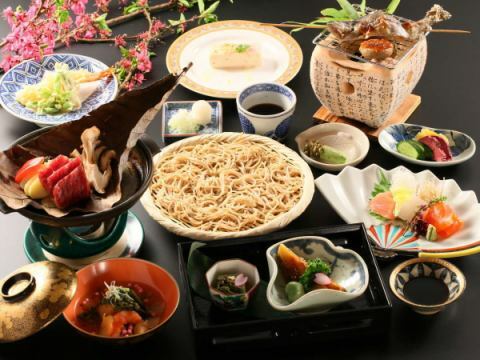 Please also enjoy the seasonal appetizer, passionate soba! It is a one night stay with breakfast plan. We have a wide variety of Japanese and Western buffets.